Does Evaluation Contribute to the Public Good? 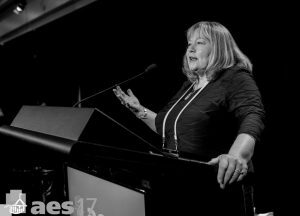 In September I was honoured to give the initial keynote address at the 2017 Australasian Evaluation Society meeting in Canberra. I am thankful for the opportunity and for the warm response my keynote received. 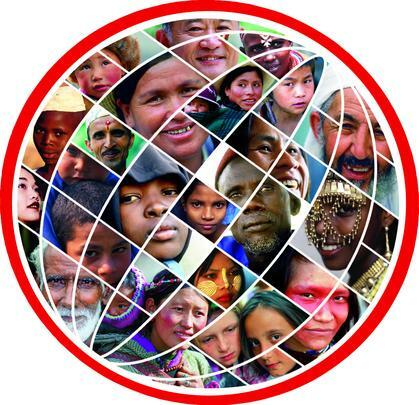 I express my pessimism, maybe even cynicism, about the extent to which evaluation has contributed to the public good, by which I mean the well-being of all people, globally, manifested in things such as food security, healthcare, education, clean water, adequate housing. I offered some hopeful suggestions about how evaluation as a practice might do better in its contribution to the public good. This talk has been translated to French and has been published in La Vigie de l’évaluation and can be accessed here. It will soon be published in English and I will post a link here soon. In the late 1990s, banks and private mortgage lenders began pushing subprime mortgages, many with “adjustable” rates that jumped sharply after a few years. These risky loans comprised 8.6 percent of all mortgages in 2001, soaring to 20.1 percent by 2006. That year alone, 10 lenders accounted for 56 percent of all subprime loans, totaling $362 billion. As the film explains, these loans were a ticking time bomb, waiting to explode. 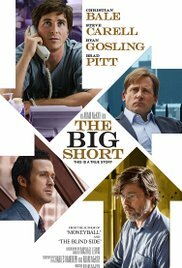 While there is really nothing new revealed in the movie, there is a great scene in which Mark Baum (Steve Carrell) confronts the Standard and Poor’s staffer who admits to giving high ratings to mortgage security bonds because the banks pay for the ratings. If S&P doesn’t deliver the high ratings, the banks will take their business elsewhere, perhaps to Moody’s. The profit incentive to be uncritical, to not evaluate, is overwhelming. Without admitting any wrong doing it has taken until 2015 for S&P (whose parent company is MacGraw Hill Financials) to make reparations in a $1.4M settlement with the US Justice Department. This is a particular and poignant message for evaluation and evaluators. Like so much else about the financial crisis, shortsightedness and greed resulted in false evaluations, ones with very serious consequences. S&P lied: they claimed to be making independent evaluations of the value of mortgage backed securities, and the lie meant making a larger than usual profit and facilitating banks’ bogus instruments. Moody did the same thing. While the ratings agencies have made some minor changes in their evaluation procedures the key features, lack of independence and the interconnection of their profit margin with that of their customers, have not. The consensus seems to be there is nothing that would preclude the evaluators from playing precisely the same role in the future. In addition, while the ratings companies profits took a serious hit the big three agencies—Moody’s, S&P and Fitch— their revenues surpassed pre-crisis levels, and Moody’s and S&P now look more attractive as businesses than most other financial firms do. Something worth pondering another day. Individual evaluators may say, “Well, I wouldn’t do that” and that may be to some extent true, but the same underlying relationships are repeated in all contracted evaluation work. If you are hiring me to do evaluation for you and I want you to consider hiring me again in the future then I am in the same relationship as the ratings agencies are to financial institutions. This is a structural deficiency, and a serious one. In a soon to be published book chapter (in Evaluation for an Equitable Society), I analyze how capitalism has overwhelmed pretty much everything. We are unable to see a role for evaluation theory and practice outside the fee-for-service framework dictated in the current neoliberal frames of social engagement. In that chapter I offer suggestions about what evaluation can do, alongside being more responsible within a fee for service framework. 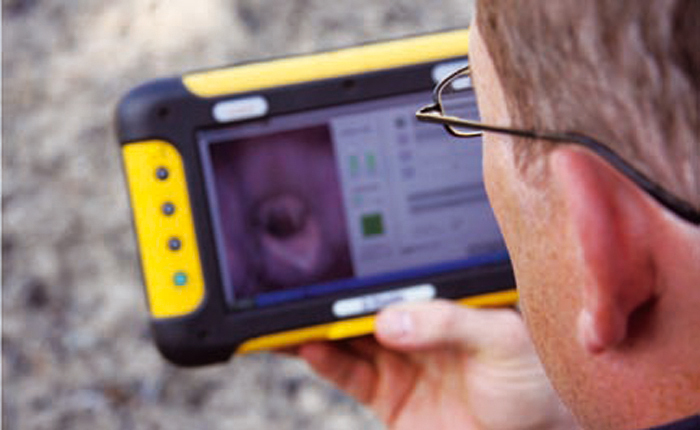 First, evaluation needs to evaluate its own systems and instruments. Meta-analysis of evaluations (like that done by S&P, and pharmaceutical companies, by grant funding agencies, in education, and so on) are necessary. Using our skills to insure that what is being done in the name of evaluation is indeed evaluative and not merely profiteering is critically important. Second, professional evaluation associations need to promote structures for truly independent evaluations, evaluations solicited and paid for by third parties that have no profit to make although, of course, an interest (government agencies, funding agencies, and so on) in competently done, valid evaluation studies. This is an oldie, but a goodie…here is what the table looks like, but you need to click on the link to get the full effect. 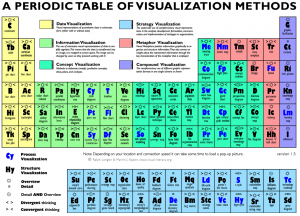 And, a link to reviews of tools for data visualization. What makes you an evaluator? Loads of people assume that good research skills applied in a practical context is what makes an evaluator. Not so. 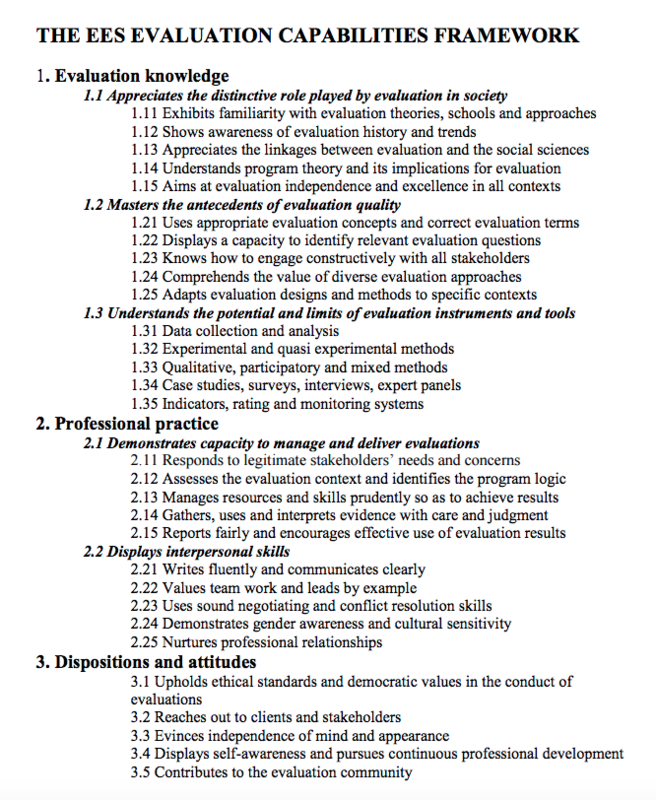 The European Evaluation Society has a short but good list of capabilities evaluators should have. 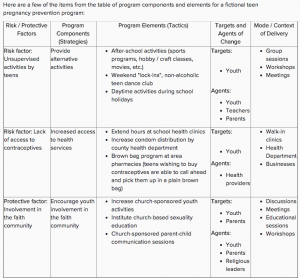 This template from CDC is a good place to start: evaluation plan outline. And the Evaluation Toolkit created by the Pell Institute provides direction as well. But also consider whether alternative formats for evaluation plans might be more effective, like this visual evaluation plan strategy using DoView described by Paul Duigan. Because evaluation plans are meant to clearly outline what the evaluation will focus on and how it will be done tables, charts, figures and graphics often communicate more succinctly than prose. For example, describing the program and what it is supposed to accomplish might look like this. 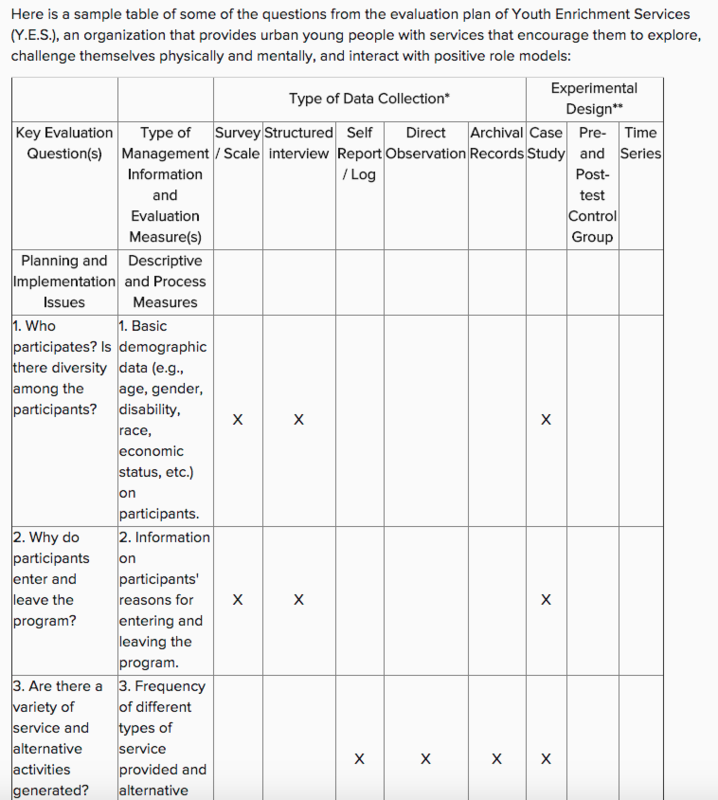 And, evaluation questions, methods and even the overall evaluation design might look like this. And, a communication plan might look like this. 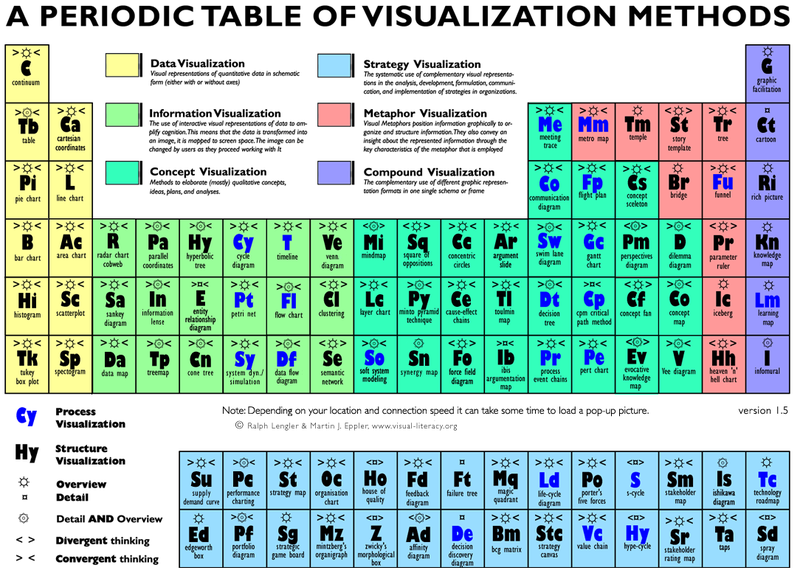 The ability to capture the big picture visually is also helpful and communicates the overall plan. Here are a few examples from Bethany Laursen, which Sheila Robinson shared on Evaltalk. Just a quick note on a free app (pro version available, of course) to create maps with your data. BatchGeo allows you to create Google Maps with your data ~ location plus other data (like prevalence, test scores, crimes). Not an endorsement, just a suggestion. 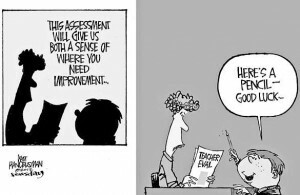 While the distinction between formative and summative evaluation is often drawn too sharply, there is a real distinction. For formative evaluation to really be formative, there needs to be a steady flow of evaluative feedback that allows for corrections along the way… that is, to do what ever is being done better, both in the present and into the future. Compare two approaches to formative evaluation ~ real time evaluation and digital portfolios of student learning. RTE is often done under difficult circumstances with limited ability to collect data first hand and thus is content with ‘quick and dirty’ results. 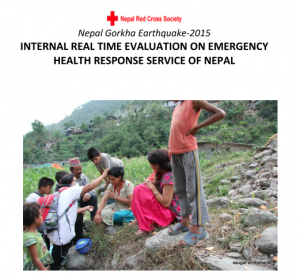 Disaster situations make it onerous to be in the field and evaluation relies on reports from the field (observations of aid workers, sector staff in the area, and so on). On the other hand, classrooms and other educational settings are easy to access, but the data about learning activities and outcomes are similar to reports from the field. Digital portfolios and especially the real time apps (like Fresh Grade) provide immediate evidence of what is going on and what is being accomplished. Apps allow students and teachers to create and share information on an ongoing basis, but permit editing and adding to the record over time. If we think about an individual student’s learning as a model for a program, perhaps this technology has something to offer formative program evaluation. RTE could use an app or web based platform (most are available for smart phones and tablets, and there are a number of web-based tools that might serve this purpose: Evernote, Google drive, Three Ring) so those on the ground could provide data about what is happening by sending photographs, interviews, observations, documents, and so on to evaluators who are unable to collect data firsthand. Connectivity may be an issue in some situations, but even erratic connection would allow for varied and compelling data to be shared. In non-emergency situations this wouldn’t be a problem. Technology that allows for sharing information easily and often may increase the likelihood adjustments can be made and thus the purpose of formative evaluation realized. Chris Morris guest blogged on the Impact Ready blog about some findings from his research on the role of evaluation in accountability in interventions and programs in crisis effected communities. 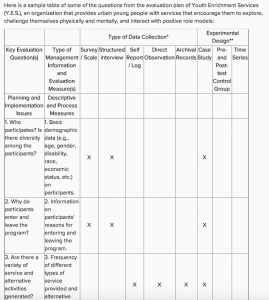 He focuses in this blog post specifically on the lack of participation by local communities in evaluations that are meant to provide accountability to those most effected. Click here to read the whole post. Student evaluations of teaching (SET) are standard fare in higher education where there is often relatively little information available to judge what is supposed to be a major part of professors’ work. There are often long end of course surveys students complete, covering everything from whether the content was relevant to the professor’s competence to whether students felt fairly treated. Putting students in a role as observers of what happens in classes isn’t a bad idea, and I’ve written about the Measures of Effective Teaching Project here. Not everything that is asked of students is clearly in their realm though, such as whether the professor knows his/her stuff, and much more care should be given to asking students to observe what is observable and experienced specifically by them. 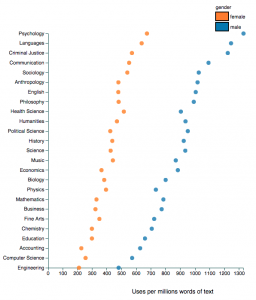 This matters when the data from these surveys are used to make career decisions about professors. The overall evaluation process for tenure, promotion, merit pay, and continuing appointment involve more components than teaching and indeed scholarship (publishing) is often compensatory and can nullify a poor teaching evaluation. But that’s another post, for another day. A recent study at NC State points to a specific, and serious, problem with student evals of teaching: they are gender biased. One of the basic issues in instrument construction is validity and it would appear student evaluations of teaching aren’t living up to this expectation. 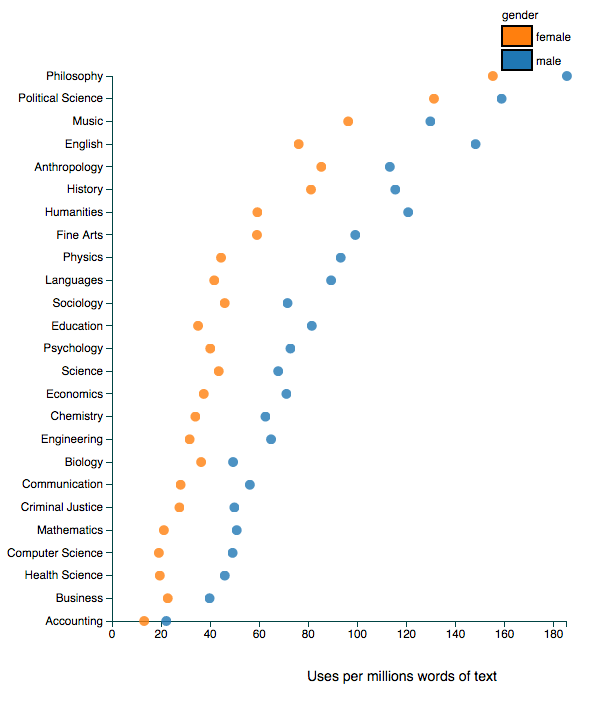 Benjamin Schmitt, an assistant professor of history at Northeastern University, who is interested in data visualization has given us what might be the most useful data to see the effects of gender bias. He used Rate My Professor as the data source describing his analysis here, and before you get all uppity about this there is at least some evidence of a reasonably high correlation between ratings on RMP and institutional SETs. 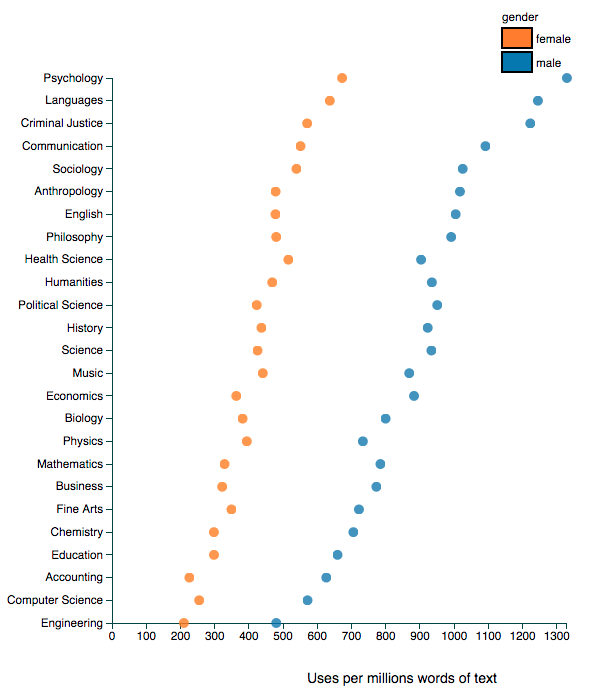 Schmitt has created an interactive chart to explore gender, discipline and student ratings. It’s pretty amazing… and eye-opening. I’ve clipped just a few examples when different terms are used to search the data base. Apparently male professors in psychology might have futures as stand up comedians, all education professors are so caring any of them might be the next Mother Teresa, and all philosophy profs are brilliant but men more so than women. 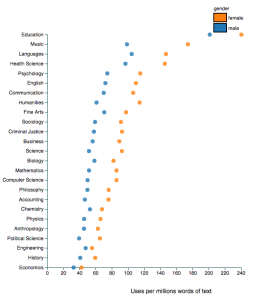 Not all descriptors are gender biased… attractive, for example, leads us to believe education professors are the least attractive (ouch!) 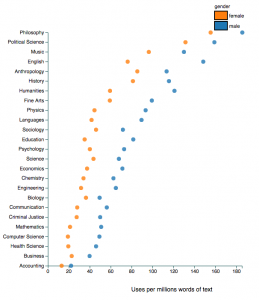 while the hotties are female criminal justice and male philosophy profs… but a surprisingly consistent pattern of gender bias against women across disciplines is apparent. But then ask if the student ratings have any basis in fact. 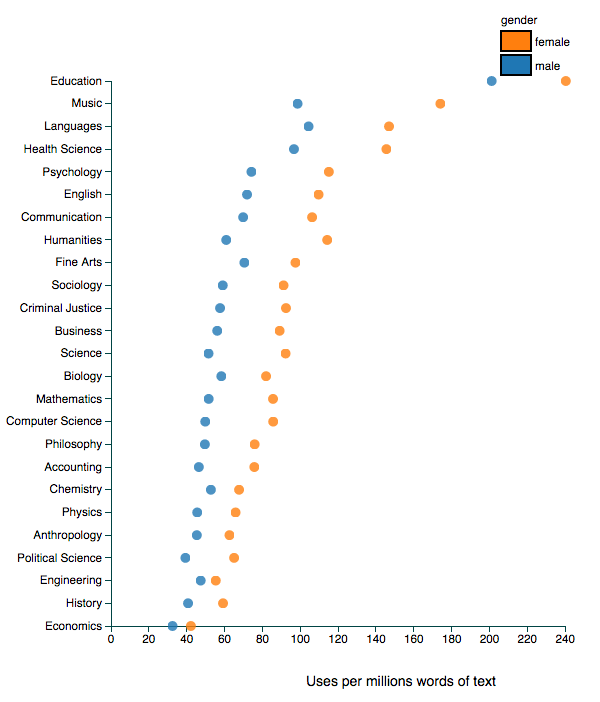 Are philosophy professors really more brilliant than professors in accounting, business or health sciences? Do women across all disciplines lack a sense of humour? In other words, the problem with these ratings are complex and layered… gender bias, for sure; truth value, disputable. And yet, faculty committees and higher ed administrations persist in using such flawed data or at least continue to symbolically offer it up as grounds for important personnel decision making.